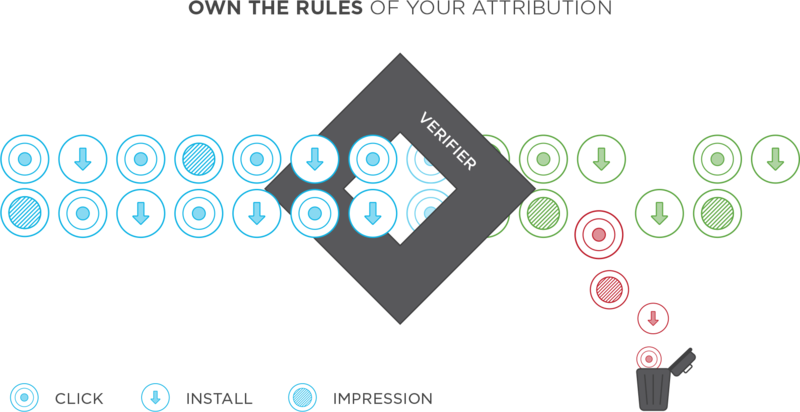 With Traffic Verifier, you set the rules of attribution and verify traffic in real-time. Is your media partner upholding the terms of your Insertion Order? Are you getting the traffic you paid for? You’re running an acquisition campaign for an iOS app in specific South American countries. You only want to accept ad traffic originating from the correct countries and platform. In the past, you have witnessed impressions and clicks continue to pour in after a campaign has already ended. You set the date range of your campaign run, so only ad traffic in that window will be accepted. Take control of your campaigns, while keeping your media partners in check. View flagged traffic in real-time analytics and even automate live alerts to media partners for corrective action. Take control and start verifying your traffic.